Great post with amazing blog ides. I think staying up-to-date with news & pop culture helps as well. I’ve noticed that about your blog, and that’s one reason I like your posts so much. Keep up the good work! Aw, well thank you! And you, too! Haha, personal stuff can definitely be difficult to write about. Stick to whatever works for you! I’ve always been very slow at coming up with things to write about… probably because I’m a perfectionist and I don’t want to write about something unless it’s my FAVORITE IDEA EVER. Blogging has really pushed me in this department, and it’s definitely stretched my idea-generating muscles.Great thoughts! 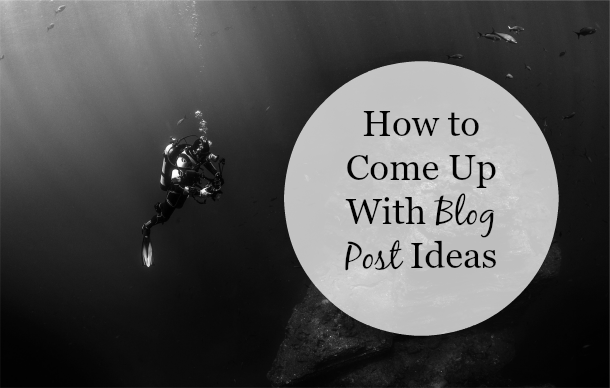 If you haven’t written about it already, I’d love to hear about your blogging process–how you go about collecting ideas and turning them into polished blog posts, promoting them on social media, etc.